In 2018, Thomas Schreiner’s Tyndale commentary on 1 Corinthians was published. We’ve released this volume (and 10 others!) this week. Also, we’ve taken an excerpt out of Shriner’s work to share with you here on the blog. Below you’ll find an overview on Corinthians 15:1-58 and verse-by-verse commentary on verses 1-5. So, start reading and learn more about the reality of Jesus’ resurrection. The subject matter shifts to the resurrection. Apparently some of the Corinthians were denying the physical resurrection of the body. Their rejection was not due to an over-realized eschatology but reflects a typical Greek and pagan view in which the body was rejected as inferior. It is difficult to know if this matter was reported to Paul since he does not use the typical ‘now about’ formula (7:1, 25; 8:1; 12:1; 16:1, 12). Perhaps what Paul writes here represents a response to a report he heard. An overview summary of the chapter is appropriate here. 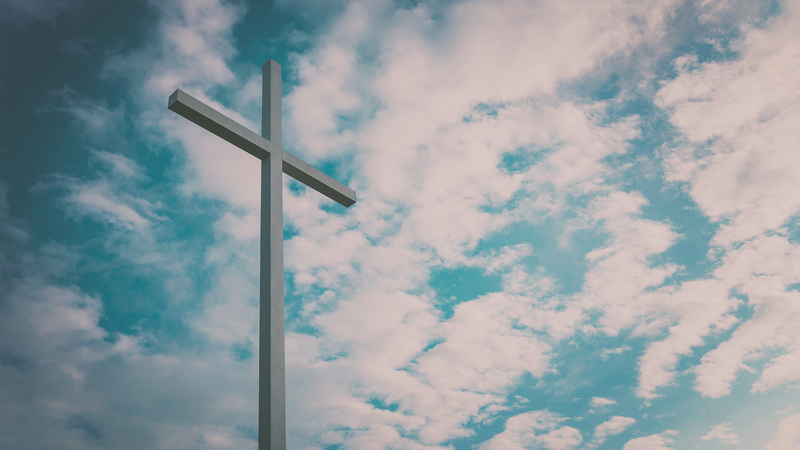 Paul reminds the Corinth-ians of the gospel he taught, which focused on Christ crucified and risen, and then provides eyewitness evidence that Christ is truly risen (15:1–11). The next stage of the argument posits the indivisibility of the resurrection of Christ and the resurrection of believers (15:12–19). The one entails the other, and the consequences of denying the resurrection of Christ are rehearsed. Verses 20–28 focus on sequence; the resurrection of believers does not immediately follow Christ’s resurrection. The resurrection of believers is future, and Christ’s resurrection has set in motion a process that will conclude with the arrival of the end and the coming of the kingdom in its fullness. Some experiential arguments are also adduced for the resurrection (15:29–34). If there were no resurrection, it would not make sense to be baptized for the dead, nor would it make sense to risk life and limb for the sake of the gospel. Finally, Paul gives a battery of arguments supporting the resurrection of the body; these arguments will be summarized in more detail in the study of 15:35–58. (2) Christ was raised, and the resurrection is verified by his appearances (vv. 4–10). He appeared to Cephas, the Twelve, 500 people at the same time, James, all the apostles and, lastly, Paul (vv. 5–8). Paul reflects on his unusual status as an apostle, since he persecuted the church, yet by God’s grace he serves as an apostle (vv. 9–10). Still, the apostles proclaim a common message of Christ crucified and risen, and the Corinthians have put their faith in this message (v. 11). Perhaps the topic of the resurrection is inserted as the last major discussion in the letter so that the gospel receives the emphasis both at the beginning (1:18–2:5) and at the end of the letter, since it is imperative that the Corinthians do not forget the gospel. The word gospel (euangelion and the verb euangelizomai translated as preached; see also Gal. 1:11) reaches back to the promise of return from exile in the Old Testament (Isa. 40:9; 41:27; 52:7; 61:1). In Isaiah 40–66 the return from exile is linked with the fulfillment of God’s promises to Israel and the coming of the new creation (Isa. 65:17; 66:22). Paul sees this gospel – the fulfillment of God’s saving promises – as realized in the ministry, death and resurrection of Jesus Christ. The forgiveness of sins accomplished at the cross represents the fulfillment of God’s eschatological promises and of the new exodus prophesied in Isaiah (11:11–15; 40:3–11; 42:16; 43:2, 5–7, 16–19; 48:20–21; 49:6–11; 51:10) since Israel was in exile because of its sin. When Paul proclaimed the gospel, the Corinthians received and welcomed it (cf. Gal. 1:9; Col. 2:6; 1 Thess. 2:13), entering into a saving relationship with God. The Corinthians also stand in the gospel, which accords with the claim that believers stand in grace (Rom. 5:2) and stand in faith (Rom. 11:20; 2 Cor. 1:24). Believers begin by means of the gospel and continue to stand in the gospel. Believers are saved by the gospel – that is, they are rescued from the wrath of God which will be poured out on the last day (cf. Rom. 5:9; 1 Thess. 1:10; 5:9). Final salvation, however, will not come without perseverance. Believers must hold firmly (katechete) to the good news they received, and this verb is used elsewhere to designate perseverance (see Luke 8:15; Heb. 3:6, 14; 10:23). If the believers do not remain in the faith, then their initial faith was in vain. We are reminded of the parable of the soils, where it is said that the seed falling on rocky ground represents those who ‘believe for a while, but in the time of testing . . . fall away’ (Luke 8:13). The demand to persevere is not unusual in Paul, for he often summons his readers to continue in faith until the end (cf. Rom. 11:22; Gal. 3:4; Col. 1:23; 1 Thess. 3:1–5; 2 Thess. 2:15). The gospel the Corinthians received is explicated. Paul passed on (paradidōmi) the tradition of the gospel he also received (paralambanō). In one sense, the gospel Paul proclaimed was independently given to him (Gal. 1:11–17), but Paul does not deny that he received the fundamental tenets of the gospel from others. The gospel handed down is of first importance, representing the fundamentals of the Christian faith – the baseline and touchstone for all that is taught. Paul proceeds to focus on the death and resurrection of Christ for the forgiveness of sins. The phrase Christ died for our sins according to the Scriptures may represent a confessional statement cited by Paul. The foundation of the gospel is that Christ died to secure the forgiveness of sins for believers. As Galatians 1:4 says, Christ ‘gave himself for our sins’. Paul almost certainly means that Christ died in the place of sinners and took their sins upon himself in his death, and he expresses this truth in different ways (see Rom. 3:24–26). We read in 2 Corinthians 5:21 that ‘God made him who had no sin to be sin for us’. Or, as Galatians 3:13 says, ‘Christ redeemed us from the curse of the law by becoming a curse for us.’ Other ways of expressing the same truth are that believers ‘have now been justified by his blood’ (Rom. 5:9); ‘Christ died for the ungodly’ (Rom. 5:6); ‘while we were still sinners, Christ died for us’ (Rom. 5:8); and ‘He was delivered over to death for our sins and was raised to life for our justification’ (Rom. 4:25). The death of Christ for sins was planned by God beforehand, and Paul believes those who read the Old Testament Scriptures rightly will see this. In saying that Christ’s death was found in the Scriptures, Paul is probably not including the statement that he was buried. Instead, Christ’s burial verified that he had truly died. The second element of the gospel, then, is that the Christ was raised on the third day. Jesus often predicted his death and resurrection during his ministry (Matt. 16:21; 17:22–23; 20:18–20 par.). The resurrection is also traced to the Old Testament Scriptures and texts such as Psalm 16:9–11 (cf. Acts 2:24–28). The sudden change in Psalm 22 from suffering to victory was also probably read as an indication of resurrection (Ps. 22:22). So, too, in Isaiah 53 the suffering servant ‘will see his offspring and prolong his days’ (Isa. 53:10), and ‘After he has suffered, he will see the light of life and be satisfied’ (53:11). Similarly, God promises to give the servant ‘a portion among the great’ (53:12). Some maintain that the reference to the third day is not part of the scriptural prophecy. On the other hand, New Testament writers may have seen a pattern in God delivering or manifesting himself to his people on the third day (cf. Gen. 22:4; Exod. 19:11, 15, 16; Josh. 1:11; Judg. 20:30; Hos. 6:2; Jon. 1:17). There is a recognition that forgiveness comes through both the death and the resurrection of Christ (cf. Rom. 4:25; 5:9–10; 1 Tim. 3:16). Just as the burial verified Christ’s death, so too the appearances demonstrated that he was risen from the dead. The appearances are emphasized since the Corinthians were particularly doubting the resurrection of believers; thus Paul wants to secure in their minds the factual truth of Christ’s resurrection and the evidence supporting such. The resurrection appearances to so many have a cumulative effect; so many different people at so many different times were not deceived. Even though the Gospels begin with the appearances to the women, Paul skips these – perhaps because he wants to appeal to witnesses accepted by contemporary Roman society. He begins with the appearance to Cephas, and this individual appearance is also noted in Luke (24:34). It seems that the order is chronological with the repeated use of temporal words: then (v. 5); ‘After that’ (v. 6); ‘Then’ and ‘then’ (v. 7); and ‘last of all’ (v. 8). The appearance to the Twelve is difficult to nail down. Perhaps the reference to the Twelve is another way of talking about the apostolic group and should not be pressed. If so, the appearance to the disciples recorded in John 20:19–23 could be in view. But Thomas was not with them (though perhaps Matthias was! ); thus the next appearance could be intended (John 20:24–29), or perhaps another appearance that is not recorded in the Gospels is in mind. The number twelve could be used to refer to the apostles without there needing to be twelve men literally present since Judas was no longer part of the group. 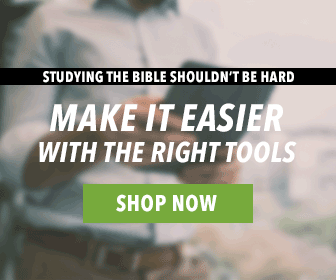 The Tyndale Commentary Series has long been a trusted resource for Bible study. 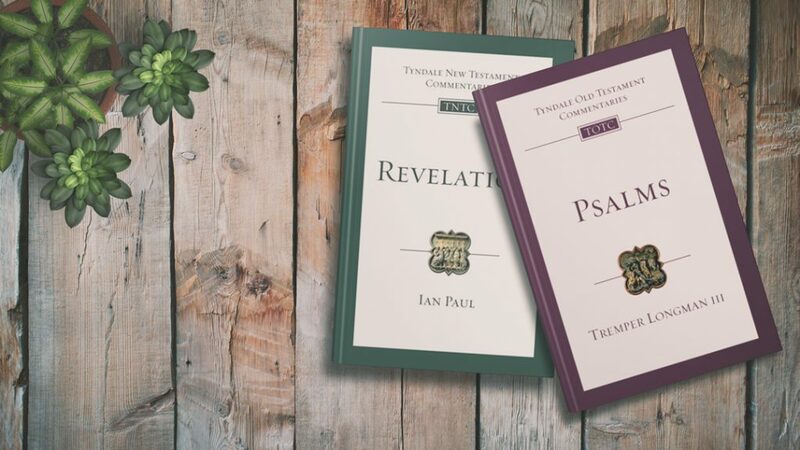 Written by some of the world’s most distinguished evangelical scholars, each book offers clear, reliable, and relevant expositions. 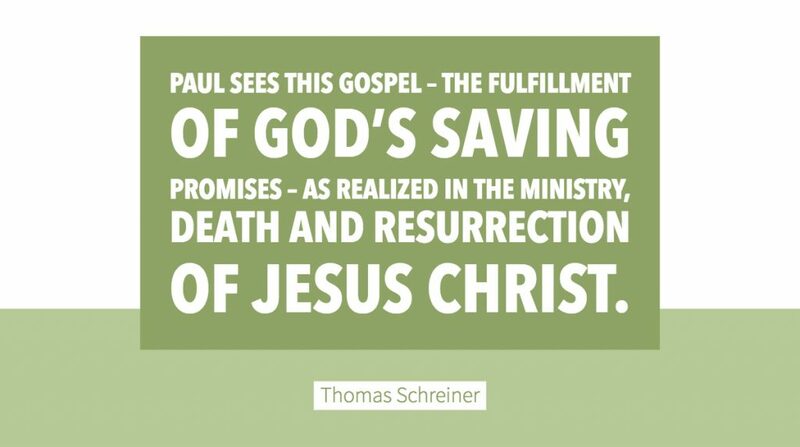 You just read an excerpt of the recently released 1 Corinthians commentary by Thomas Schreiner. If you enjoyed it, you can earn more about this set on our website.